E Type Jaguar on the corner of Carnaby Street and Ganton Street. 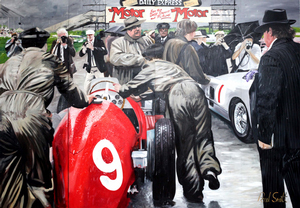 In front of the psychedelic painted Lord John, swinging sixt's . 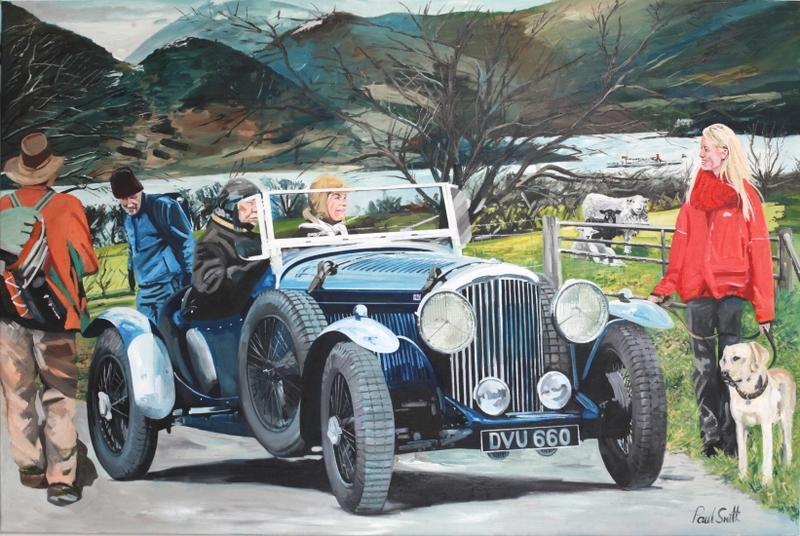 Commision painting of family outing and there derby bently. 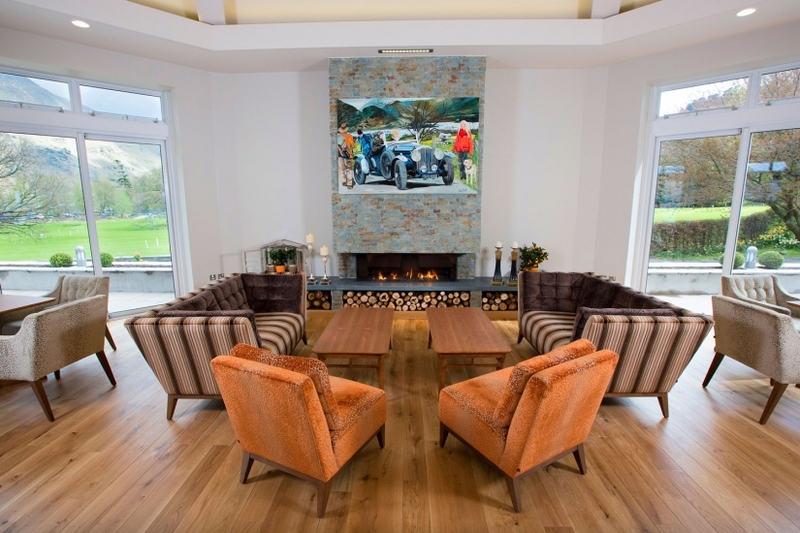 The painting takes pride of place above the fireplace in the new Orangery at the family owned hotel.. INN on the lake,Glenridding, Lake Districht. .
Commision for company office in Antwerp Belgium. 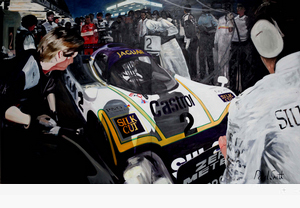 Two large commission paintings for a belgium customer. 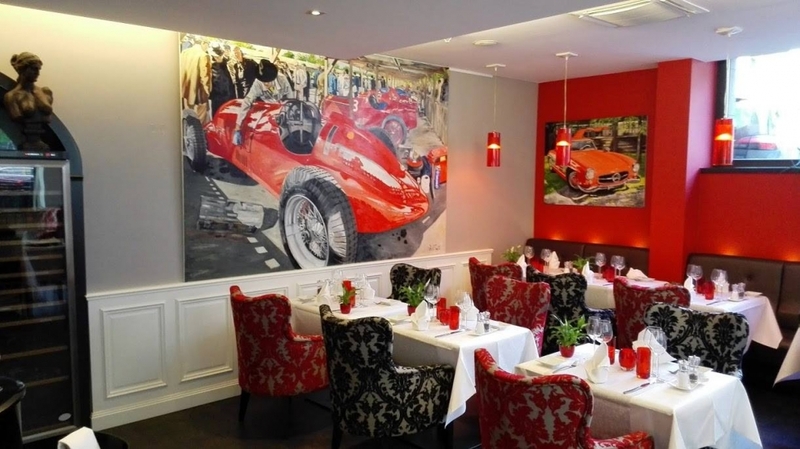 Two Paintings, A large Alfa Romeo race car scene from Goodwood Revival, and a smaller Mercedes 300 SL Gulwing in the dining room of this beautiful hotel. 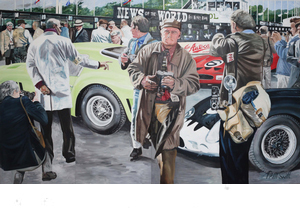 Commision Four large paintings for a New Car show room at JD Classics, Maldon Essex, UK. 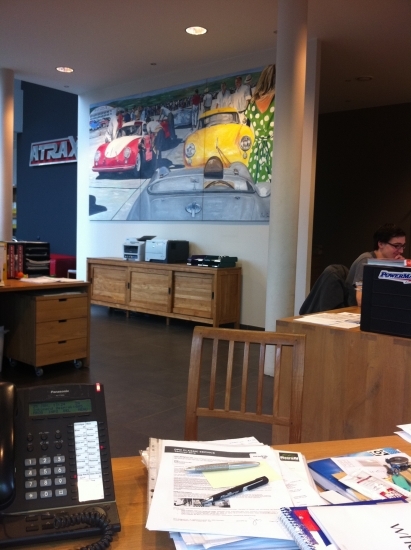 Due to the first painting having a door within the picture, and because it is in a working environment it was agreed that the painting is on wood panel. 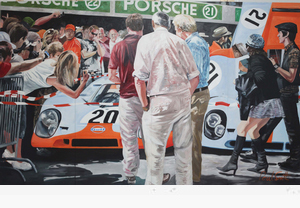 48 x 72 inches , 122 x 183 cm . Rudyard Kipling Silver Ghost, ( The Duchess ) at Monaco.